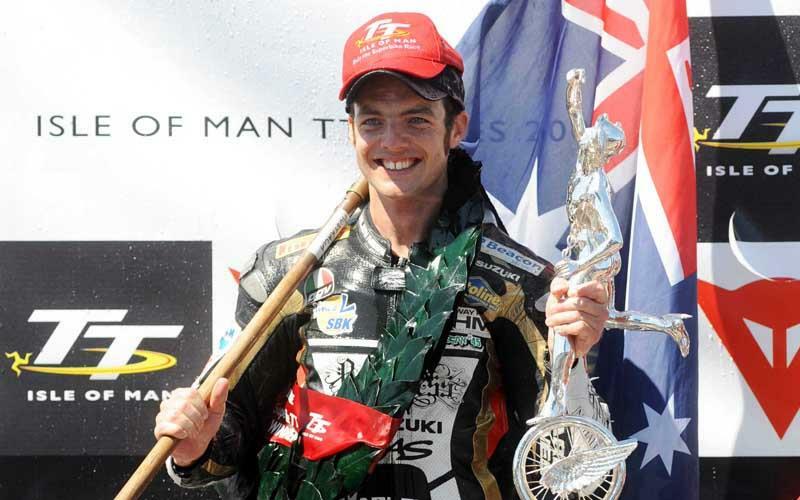 Cameron Donald has won his second race of the 2008 Isle of Man TT in the Superstock race this morning. Breaking records was not the priority of the day with damp patches and fog around the 37.73mile circuit so it was more a case of getting home safely for the riders, which winner Donald managed in with a time of just over an hour for the four laps. Pre event favourite, John McGuinness finished the race second on his Padgett’s Honda 15.07secs behind the Australian while Guy Martin was third on the Bike Animal Hydrex Honda. Guy Martin was first to get the race going, but it was McGuinness who took the lead at the first time check at Glen Helen after the first nine and a half miles ahead of Isle of Man resident Gary Johnson. By Ballaugh Bridge Cameron Donald was up to second on the Relentless by TAS Suzuki, he was just 0.16secs behind McGuinness by the Ramsey Hairpin and by the Bungalow he was leading by 1.10secs. With Ryan Farquhar into third, Martin was also making steady progress into the top six. But Saturday’s Superbike winner, Donald, was already taking control of the race, he was building up a steady gap and was recording 183.900mph through the Sulby Speedtrap on each lap. Martin, still leading on the road, was first into the pits and Donald also made good use of the chance to re-fuel as he pulled a full eight seconds ahead of McGuiness coming on to the third lap. New Zealander Bruce Anstey, who has won the Superstock race for the past four years, was forced to retire at the end of lap two at the pit stops as he was unwell. Also forced to retire was local rider Gary Johnson, he’d been running in the top six but ran out of fuel just before he made it back to the pits. By the end of lap three Donald was 17.54secs ahead, while Martin had used the third circuit of the Mountain Course to take third place. Mc Guinness did pull a second back at the Ramsey Hairpin n the final lap, but it wasn’t enough to take victory away from the Australian, who was on his way to his second victory in as many days. After the race winner Cameron Donald said: “I can’t believe it, the Suzuki just worked so well, the tyres were great, it was an absolute dream. “Coming over the mountain it was pretty hairy coming through the fog but I ride through fog quite a bit back home. Most of these riders will now take the next hour to relax before taking to the Mountain Course again for the Junior Isle of Man TT race, which is scheduled to take place at 1.15pm.